What a great time of year to have a sketch to play around with! It’s crop time for many of us (I know I’ll be using this sketch this weekend). And if you aren’t going to a crop, there might be rainy days ahead. Here’s what some of the creative team made to inspire you. Play along with us before October 21st and I’ll announce a random winner on Oct. 23rd. Here’s a look at the prize that will be up for grabs. 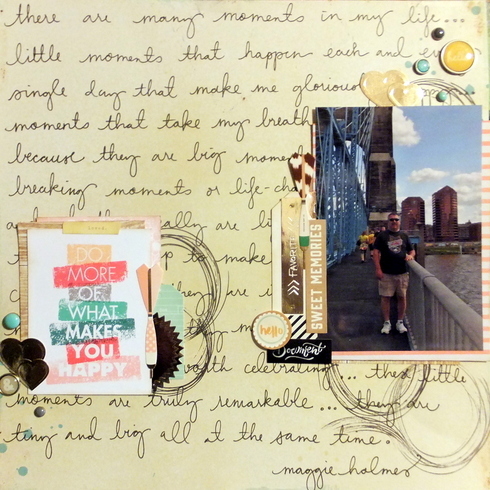 You can enter by posting a link to your layout in the comments section of this post, or share your page on the Scrapbook Circle Facebook page. I love that sketch and I want that prize! this sketch was perfect and not too busy for my busy photos! Loved this sketch and the inspiration. Thank you!